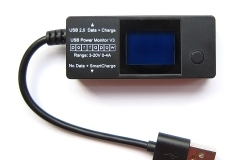 This power monitor plugs directly into any USB socket and allows you to connect any USB cable into it for charging or data transfer. 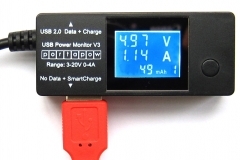 It displays on screen the voltage, current and the total amount of current which has been output. It is also allows you to compare the power of different USB sockets, see how much power each of your devices needs, and study the quirks of USB charging. 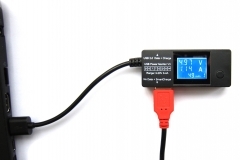 This is especially useful for solar panels with USB outputs, since it will then allow you to position the panel to maximize the energy it outputs, see what factors affect the panel’s performance, and also to see when the output is too low to be worth using the solar panel. USB1: Incorporates SmartCharge adaptor as sold separately. 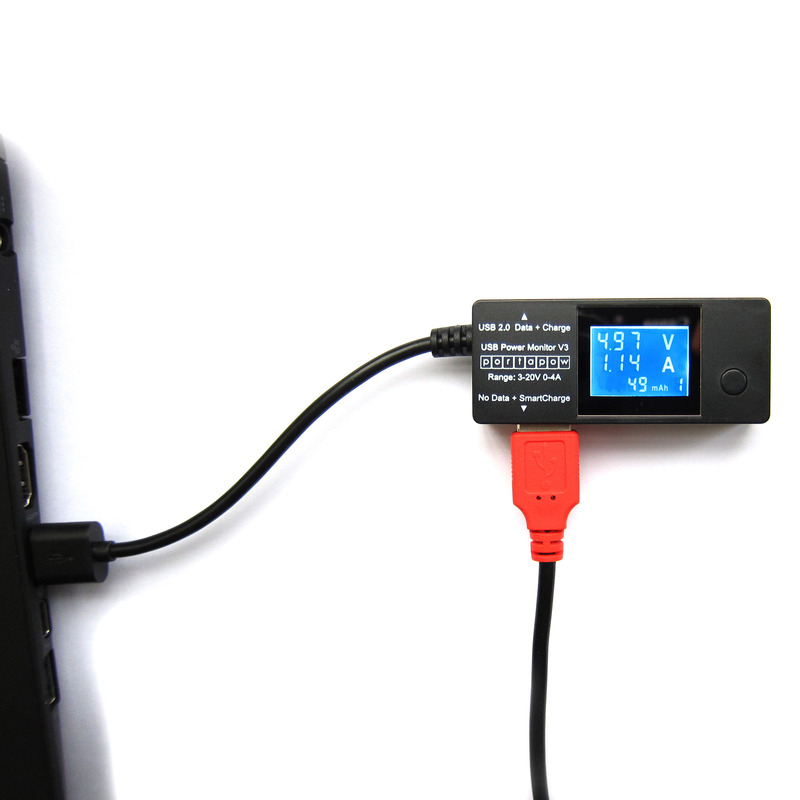 This blocks data transfer allowing you to charge from any USB socket without risk of data hacking / viruses, and allows upto 4x faster charging than is normally possible from Computer / Car USB sockets. 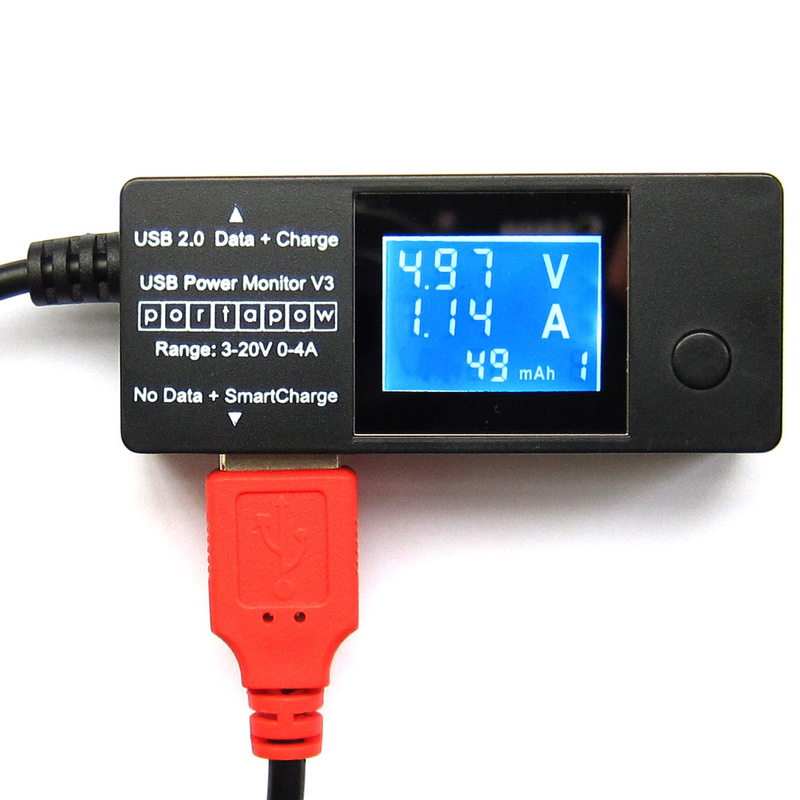 USB2: A normal USB 2.0 socket, allows data transfer and charging. 0-4000mA (4.0A), 3-20V Range, Accurate to 0.01A, 0.01V. Uses <13mA for an accurate readout. Fully compatible with Qualcomm Quick Charge 1.0, 2.0, and 3.0. 9 different memory positions to store mAh values. 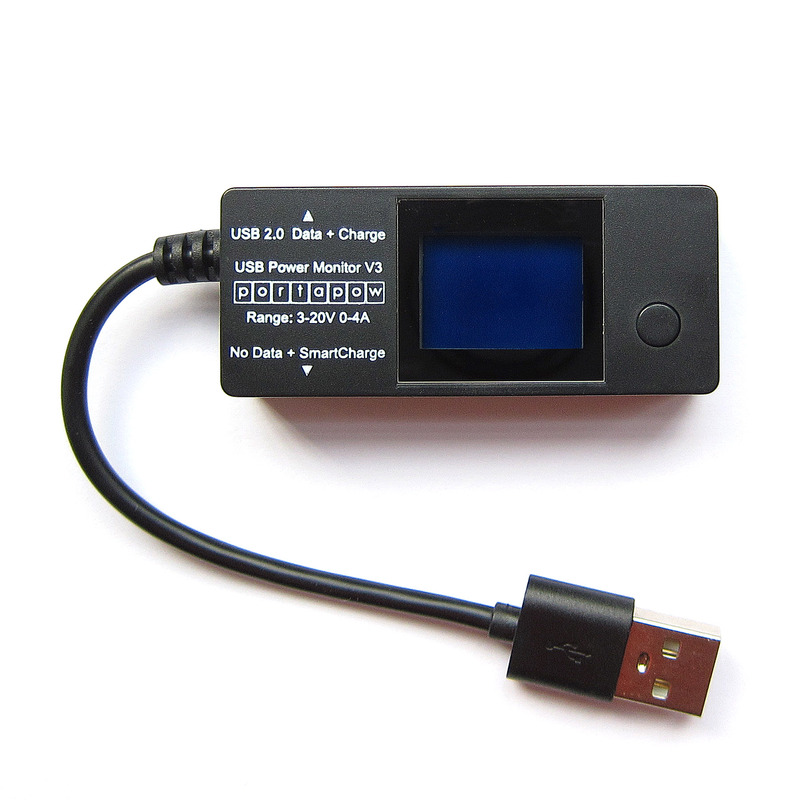 Uses a backlit LCD display which can be seen either in complete darkness or bright sunny conditions. Built in extension cable means you can turn the screen to face you. Can be used to charge two devices from one USB socket.